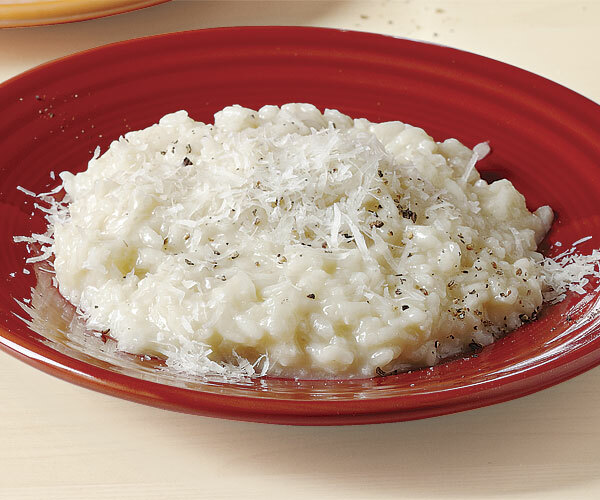 The secrets to this ultimate comfort food are to choose a risotto rice (like Arborio) that can absorb large amounts of liquid without turning to mush, add the broth in small amounts to create friction while stirring, and stir constantly, which helps the rice release its starch and create a creamy texture. Consider this basic risotto a blank canvas, open to all kinds of additions (see variations below). In a wide heavy-duty 5- to 6-quart pot, heat the olive oil over medium-low heat. Add the onion and cook, stirring occasionally, until soft and translucent, 5 to 8 minutes. 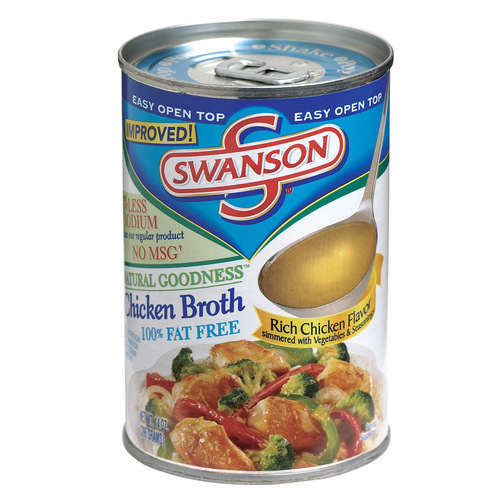 Meanwhile, in a 3-quart saucepan, bring the broth and 3 cups of water to a bare simmer over medium-low heat. Add the rice to the onion and stir with a wooden spatula until the grains are coated with oil, slightly translucent around the edges, and opaque in the center, 2 to 3 minutes. Add the wine, raise the heat to medium, and stir until almost evaporated, about 1 minute. Using a large ladle, add about 3/4 cup of the broth. Stir, mixing any rice sticking to the pot’s sides back into the mixture, until most of the broth is absorbed, the rice no longer seems loose when you shake the pot, and a wide trail forms when you run the spatula across the bottom of the pot. Immediately turn off the heat. Add another 3/4 cup broth and the butter, Parmigiano-Reggiano, and salt and pepper to taste, and stir quickly. Cover with a tight-fitting lid and let sit for 5 minutes. Stir again and serve. Butternut Squash, Pancetta, and Sage Add 4 oz. chopped pancetta with the onions and cook as directed. Add 3 cups 1/2-inch-diced butternut squash and cook, stirring, for 5 minutes. Continue with the basic risotto. Add 1 Tbs. chopped fresh sage along with the butter and Parmigiano-Reggiano. Porcini Mushroom and Gorgonzola Gently simmer 1/2 oz. dried porcini mushrooms in 1/2 cup heavy cream until softened, about 5 minutes. Remove the mushrooms from the cream, coarsely chop, and return to the cream. Cover and keep warm while you make the basic risotto. At the end, instead of broth and butter, add the mushroom cream, 4 oz. room-temperature gorgonzola, and just 1/2 oz. finely grated Parmigiano-Reggiano. Shrimp, Cherry Tomatoes, and Saffron On a foil-lined rimmed baking sheet, roast 3 cups cherry tomatoes tossed with 1 Tbs. olive oil at 450°F until soft and brown in spots, 15 to 20 minutes. In a large skillet, cook 1 lb. shelled and deveined large (31 to 35 per lb.) shrimp in 1 Tbs. olive oil over medium-high heat until just opaque, about 2 minutes. Instead of chicken broth, make the basic risotto with fish stock or bottled clam juice heated with a large pinch of saffron. Add the shrimp and tomatoes along with the butter and Parmigiano-Reggiano. Roasted Fennel and Lemon Remove the fronds from 1 lb. fennel, chop, and set aside. Trim and cut the fennel bulb into 1/2-inch pieces. On a large heavy-duty baking sheet, toss with 2 Tbs. olive oil and roast at 375°F, stirring once, until tender and golden, about 30 minutes. Make the basic risotto. Add the roasted fennel, fennel fronds, 1 tsp. finely grated lemon zest, and 1 Tbs. lemon juice along with the butter and Parmigiano-Reggiano. To avoid overcooking your risotto, taste it frequently, beginning about 15 minutes after you add the first ladleful of broth. Sorry to rain on your parade, but Arborio is the poor sister of Risotto rices. 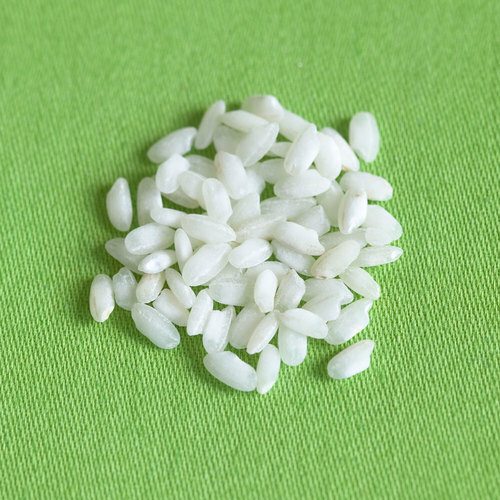 Make these recipes using Vialone Nano or Carnaroli rices. They release much less starch and produce a far better product. In addition, no need to add stock a ladle at a time. For 2 cups Vialone Nano, the process is the same as Arborio up to the stage where stock is added. Simply add 6 cups stock and cook for 18 minutes. Add back your mushrooms, etc. Parmesan cheese and never ever add butter or cream. It will be the best Risotto you have ever made.